Micetro, pronounced as ‘Maestro’, and indeed now called Maestro in many places. This format was devised by Keith Johnston and is administered by the International Theatresports Institute. It was created to allow performers of mixed abilities to work together. Typically there are 10-14 players (although in a large venue some groups play with up to 20), an MC, a musician and 1 or 2 directors and a lighting improvisor. It is a game-of-a-game, with the players pretending to the audience that they are really serious about ‘competing’ with each other (stakes are high), although everyone is working together to create a great experience for the audience. However, the feedback from the audience – who judge each scene – is quite real, an instant judgement on each scene. In some shows the players are called by numbers, wearing big bold numbers on their clothes so the audience can see. The person wearing number one will typically assume the persona of the “last week” or “last season” winner (real or not). The directors choose for every scene the appropriate number of players, usually fishing name tags or numbers out of a hat, although these may be tweaked slightly to ensure that newer players are well supported. The directors explain the improv game to be played, may ask the audience for suggestions, direct and correct the scene. Depending on the venue, suggestions may also be collected before the show, for example if the ‘pick up lines’ game is being played. After each scene or game the audience decides, by cheering and applause how many points the scene should be awarded, with one being for a not-so-good scene, and a five a scene that made them laugh and cry. Each player gets as many points as the scene he or she played in was awarded, although the MC may give or deduct extra points for good or ‘bad’ player behavior. Note the “Last Name” rule. If a director *really* wants you to stop the mischief, they will use your last name. So, “Billy, it’s time to leave the stage” means “Billy, carry on”, while “Smithers, time to leave the stage” means really go now this has gone on too long. Also, *be happy* if your scene is awarded a one or two, your audience have judged you correctly! The evening will be much more interesting than if every scene is given a three. Also, this is not a fair competition. Because it is not a competition. Once everyone has played in a scene (or more often two or three), the players with the lowest score take a bow and leave, happily and gracefully, and the whole thing starts again. Usually there are about five rounds in a one hour show. The directors generally ensure that that there are more group-games at the start of the evening, and more 2-person scenes or even monologues toward the end of the evening. This is a fun format designed to be played with mixed bunches of experienced and not-so-experienced players, with challenges for all. Since players are immediately judged, it is perfectly possible to loose a star player near the start. Being eliminated doesn’t mean someone is out of the show: there will be opportunities to leap back on stage when there’s a need for a forest in the background, or a backing chorus for a rousing song. In the end there will be one player acclaimed Micetro: this is the signal for all the players to return to the stage and admire the winner. If you find yourself up for a game you don’t recognise, in a clear voice ask the Director to explain it for the audience. This entry was posted in Micetro, training notes on May 28, 2018 by MaDmin. The Tuesday Workout is WIT’s regular training session if you’ve graduated from a WIT introductory course or have equivalent training and improv experience with another troupe. In 2018 these are generally being run as koha – pay what you can, but don’t fret if you can’t. We are usually in the Library Mezzanine Meeting Room, but sometimes in other spaces, if the Council need the space for one of their meetings. June 12th Wellington Central Library, Mezzanine Room 6pm no training, it’s our AGM! If you’d like to keep up with WIT’s training plans sign up to our Newsletter and you’ll know all the things! If you have a quick question, a message to our Facebook page is often the quickest way to get in touch, or contact us through this handy form. Read more about our training. Note: If you are new to improv, Level 1 The Joy of Improvisation, runs through the Wellington Community Education Centre 4 times a year. This entry was posted in training news and tagged level 2, next step on April 1, 2018 by MaDmin. Experience scandal and excitement in this sure-to-be-a-strange-sensation improvised reality show. 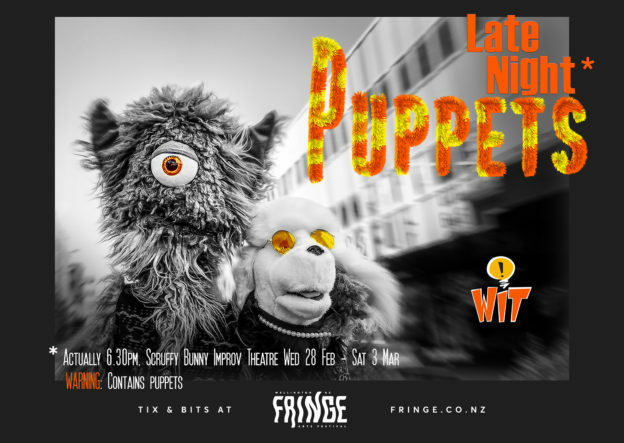 Join crack puppeteers and cracked puppets as they combine in a never before seen melange of human and inhuman and inhumane endeavours. And discover the soulful stories that lie behind the laughter. Or, the laughable lies that lie behind the soulful stories. May get a little bit rude and sweary (puppets are like that), but never in a mean way. Suitable for adults and ruder children. This entry was posted in Other formats, past shows, WIT shows on February 4, 2018 by MaDmin. Hilarious titles. Ridiculous Monsters. All improvised. WIT brings you an improvised show following the classic elements of B-Movies. Join our unsuspecting cast, as a series of unfortunate events lead them to a horrifying discovery… who will survive? Who will find love? And why is the phone always dead when you need to call for help?! The story will be shaped by suggested movie titles given to the cast by the audience – see what we create for you! Visit our Facebook Event Page for the latest details, show photos, cast gossip and the rest. This entry was posted in on now and soon, Other formats, WIT shows on December 12, 2017 by MaDmin. New place to play in Wellington! 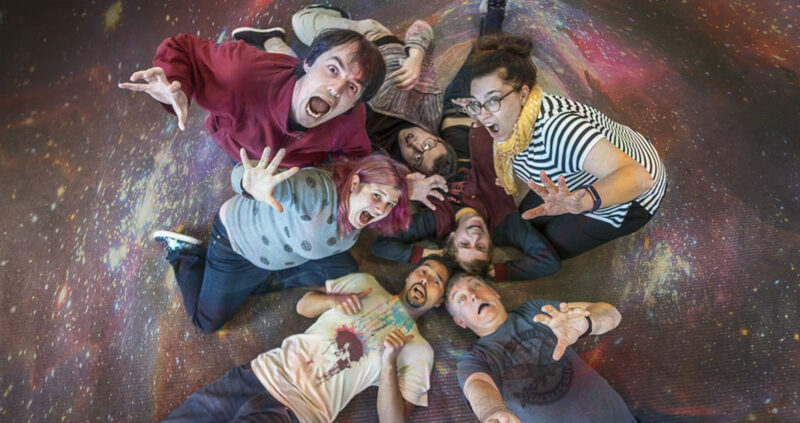 Did you know Wellington now has it’s own actual Improv Theatre?! 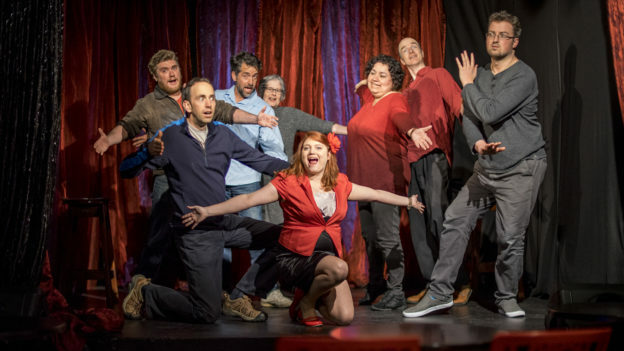 Of course we still love BATS and The Fringe Bar and all the other great spaces about Welly where improv happens, but an actual improv theatre!! 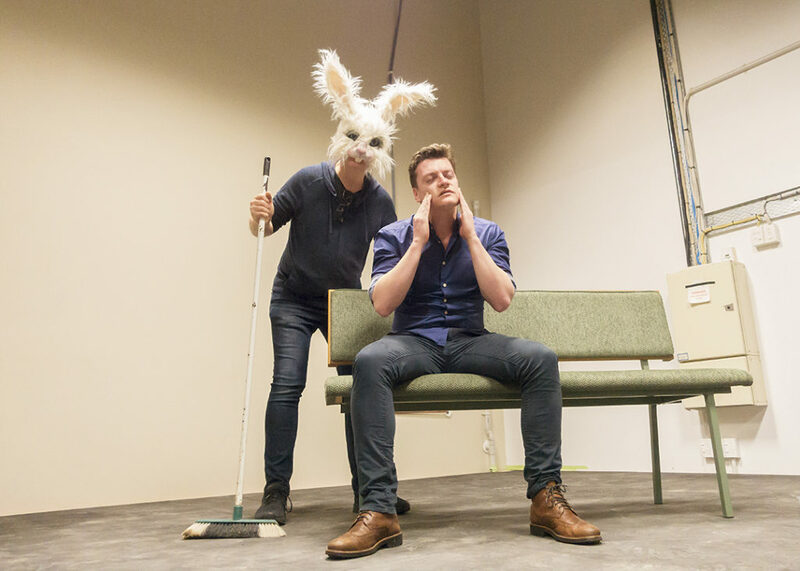 WIT wishes Richard all the best as he gets The Scruffy Bunny Improv Theatre up and running (in the ground floor of the Reading Centre, 100 Courtney Place), and we look forward to WIT’s being among the brilliant and daring bunch of shows that’ll be happening there. This entry was posted in news on November 25, 2017 by MaDmin.